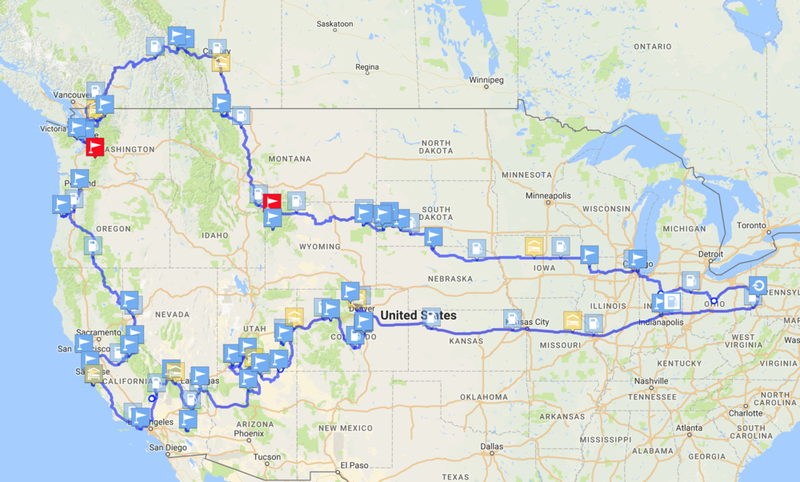 My Cross Country road trip was full of experience and amazing adventures. There are so many destinations I was able to set foot on and see for the first time and hopefully not the last. 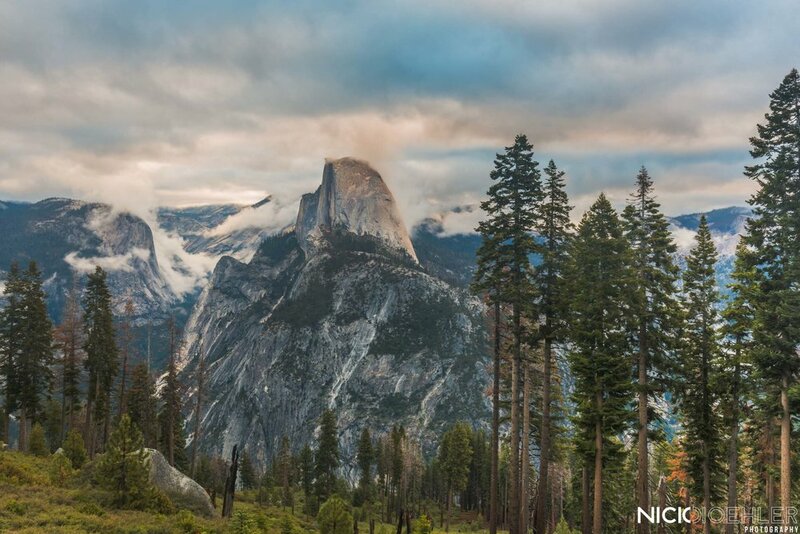 My favorite location is always Yosemite National Park or San Francisco, but I've been to both before. After this trip I think Joshua Tree was one of my favorite National Parks; the peacefulness just stuck out to me and the temperature was a perfect 100 (in May). Things I saw went from a huge slug, to a black bear. Or these amazing tree landscapes and then to see the red rock mountains of the South West. 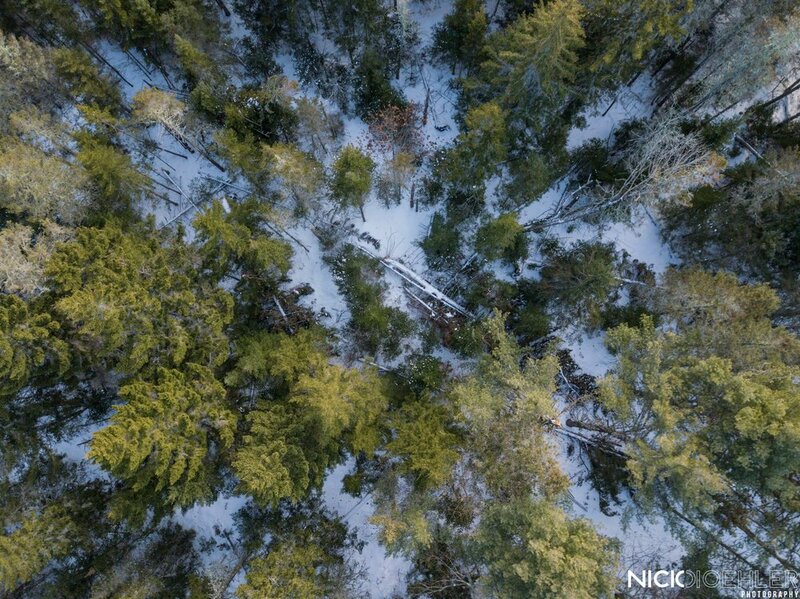 The uniqueness of the United States is impeccable with the different ecosystems and stories each place told. Here are some of my favorite images from this journey! Chicago: Some high rises during golden hour. Badlands National Park: Right after the sunrise, this light was giving a nice textural feel along the ridges. Badlands National Park: Beautiful morning light casting on a tree. 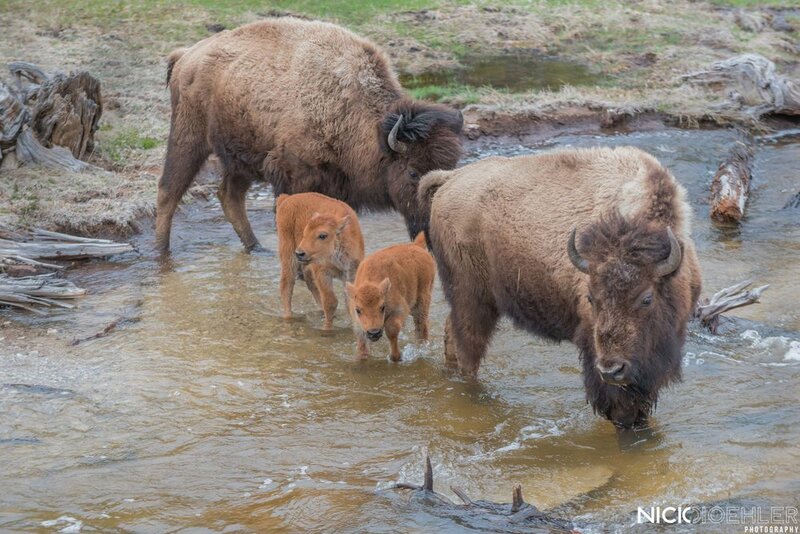 Yellowstone National Park: Bison family crosses creek. Yellowstone National Park: Looking for lunch in the snow. 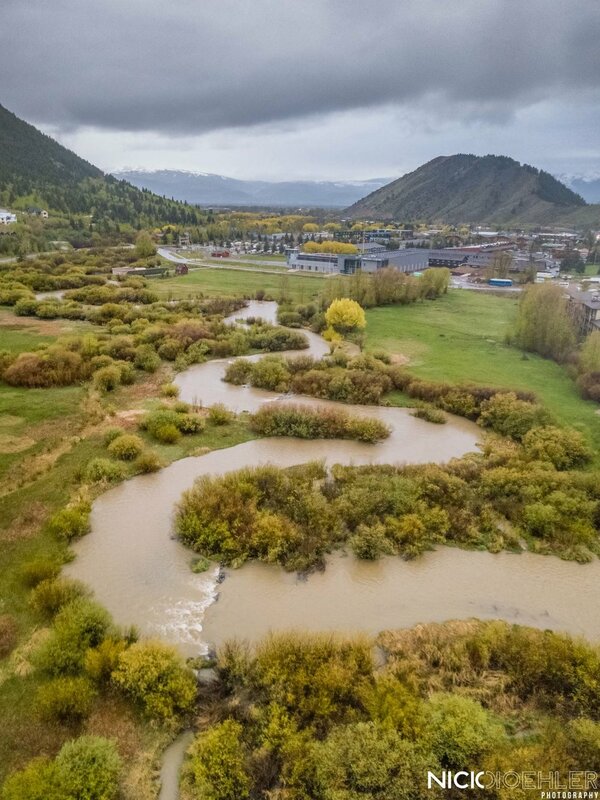 Jackson, Wyoming: A smaller portion of the snake river weaving past Jackson. Glacier National Park: Beautiful wispy clouds catching light above the mountainous landscape. Banff National Park: A waterfall making way through a forest. Jasper National Park: Light tipping the peaks of an amazing ridge. North Cascades National Park: A beautiful view of an emerald lake, Mt. Diablo. Hoh National Rainforest: This could’ve been a scene out of a Jurassic Park movie. Seattle, Washington: Space needle behind the conglomeration of buildings. Portland, Oregon: The city skyline. 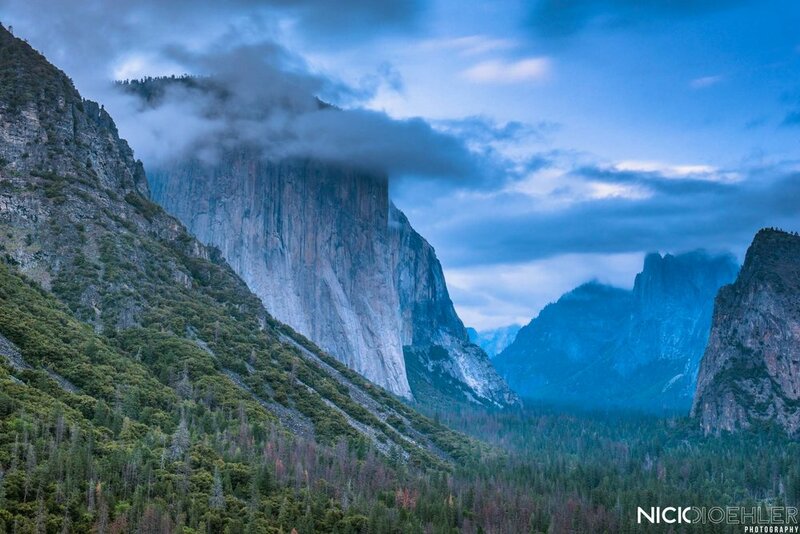 Yosemite National Park: El Capitan being masked by the moody clouds. Yosemite National Park: A black bear walking along the forest floor after eating a nice grass lunch. San Francisco: The Golden Gate Bridge framing the large city. 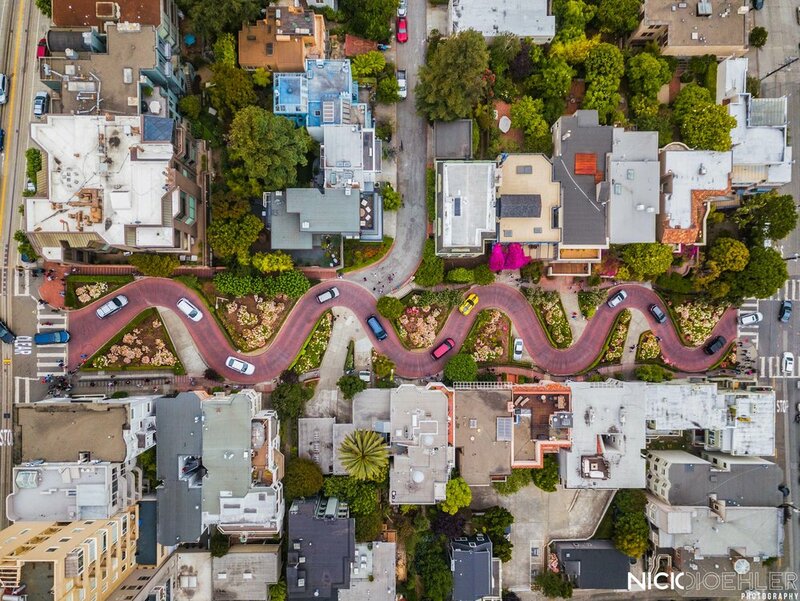 Big Sur: A drone shot of a beautiful curved bridge during sunset. Joshua Tree National Park: Moonrise behind a Joshua Tree illuminating a cactus in the foreground. Stars spinning above. Death Valley National Park: Sunset over Zabriskie Point. Grand Canyon National Park: The Milky Way across the cloudy sky. Grand Canyon National Park: Horseshoe Bend, such a classic spot. But lived up to it’s hype. Bryce, Utah: I’ve always wanted to see a rodeo. So this was my one time! Bryce Canyon National Park: The tons of Hoodoos layered with the morning glow. Zion National Park: Starry night over a crazy tree. Monument Valley: Car drives past the amazing Monuments. 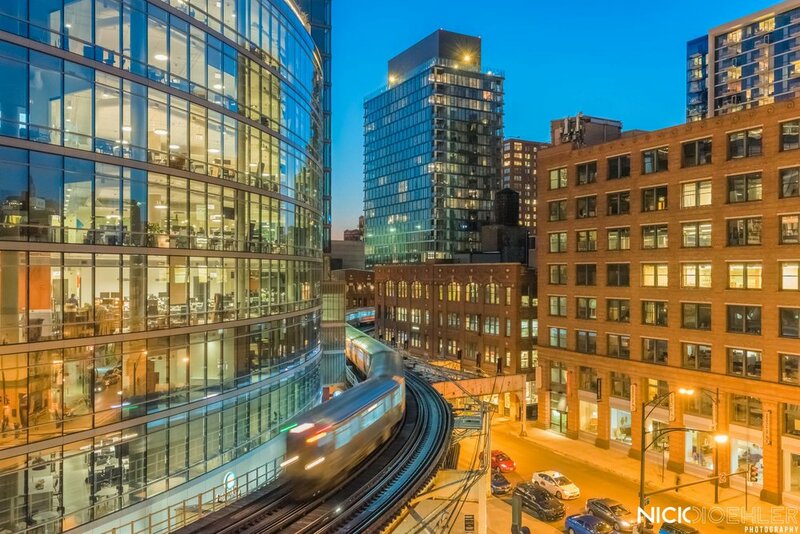 Chicago: The "L" snaking through the architecture in downtown. Badlands National Park: Sunrise right above all the beautiful scenes in Badlands National Park. 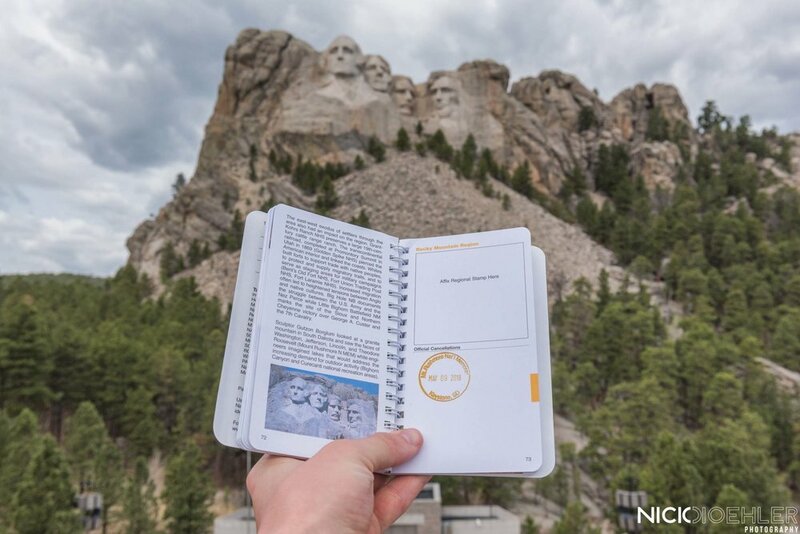 Mount Rushmore: Holding my passport book in front of a great historical monument. 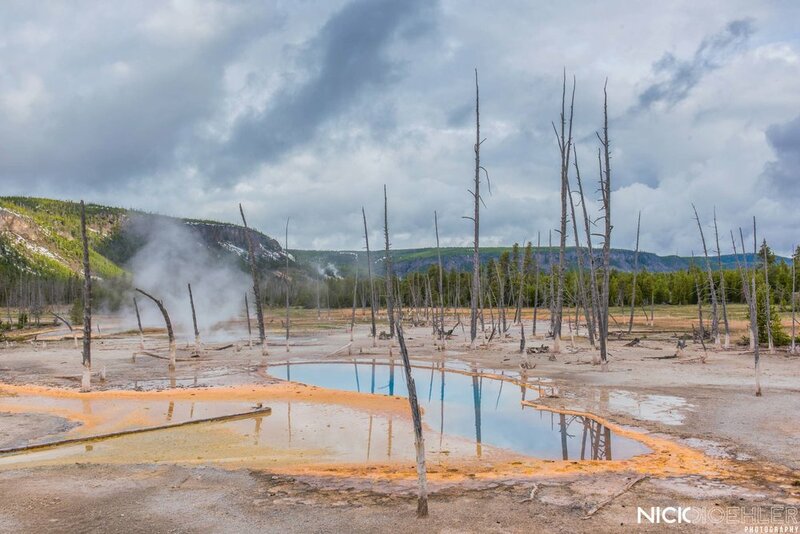 Yellowstone National Park: A geyser steams as a beautiful blue hot spring gives great color. Grand Teton National Park: One of the fancy barns in front of the mountain range. A foggy sunrise was what I received. Grand Teton National Park: Experiencing the Teton’s from a classic spot. 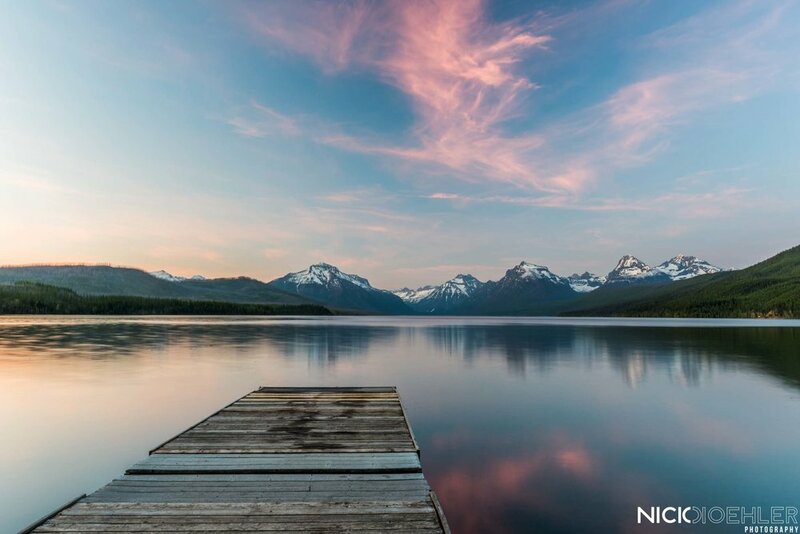 Glacier National Park: A beautiful island complimented with the gorgeous mountains. 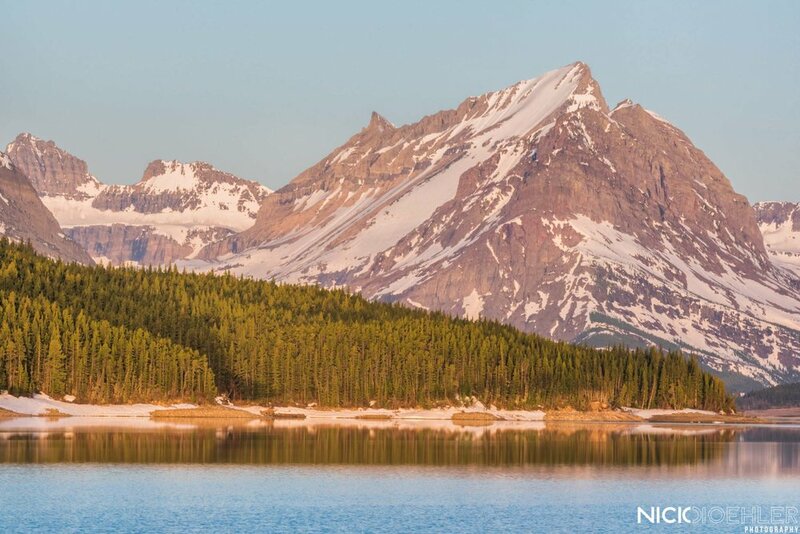 Glacier National Park: Beautiful golden hour light cast on a calm rocky landscape. Banff National Park: An amazing sight at this river byway. Banff National Park: Mountains get swallowed in clouds. 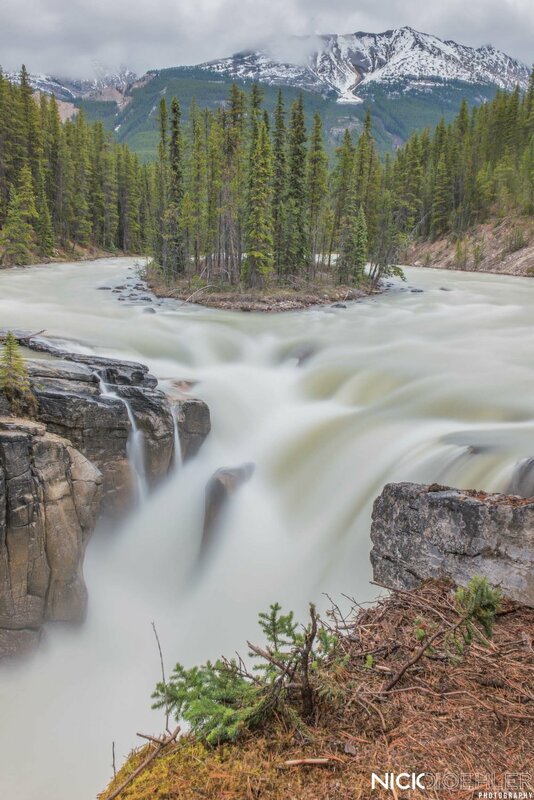 Jasper National Park: A raging waterfall being fed by a beautifully shaped river. 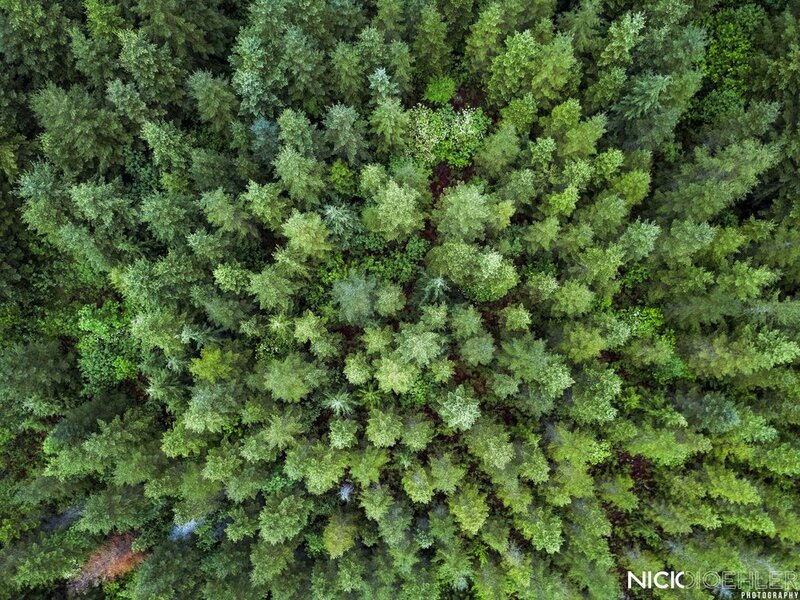 Washington, USA: Every pine tree possible was in this amazing state. Seattle, Washington: The space needle with the blue city behind it. Oregon, USA: A beautiful group of rock formations along a sketchy cliff. 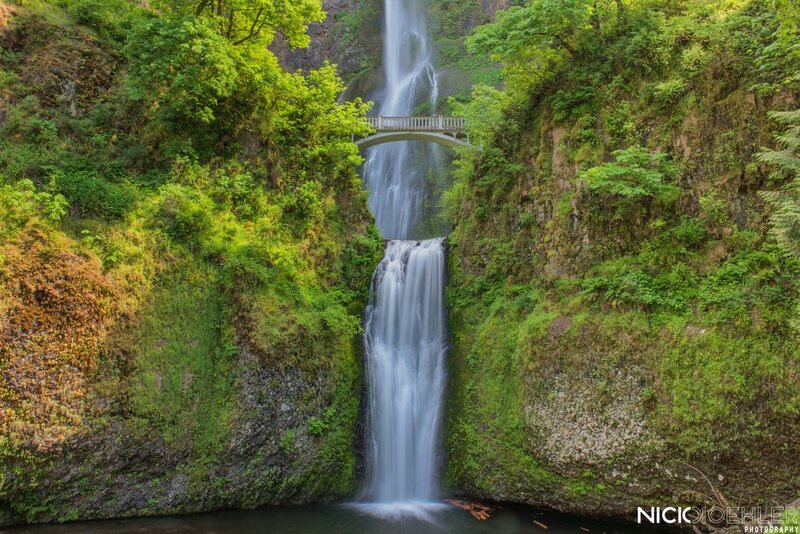 Multnomah Falls: Raging down to the lower levels where people can view. Yosemite National Park: Half Dome controlling clouds as a beautiful red sunrise leaks in. San Francisco: The Transamerica Tower leading the way for downtown. San Francisco: Beautiful skyline behind the famous Painted Ladies. Big Sur: A beautiful place to watch and listen to the ocean. Mojave National Preserve: A beautiful sand dune being touch by the morning light. Mojave National Preserve: Light shoots through a hole in this amazing cave. 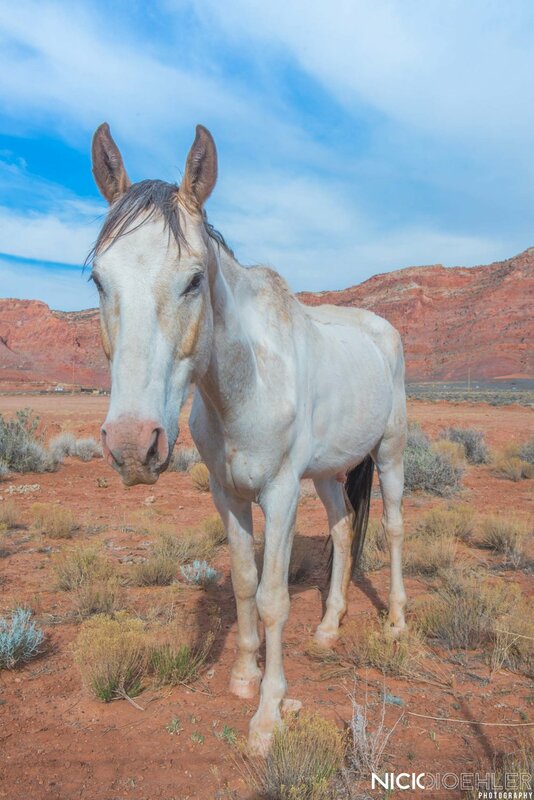 Arizona, USA: A random horse along the side of the road wanted to say hello. 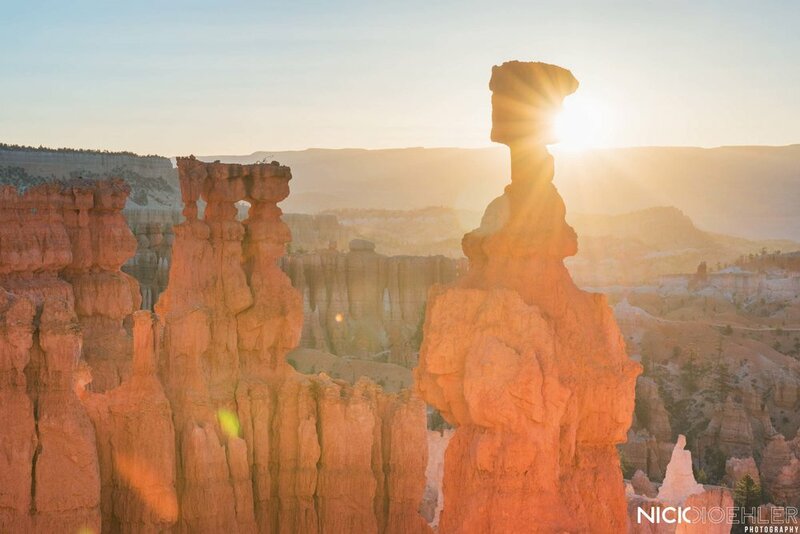 Bryce Canyon National Park: Sunrise over the layers of beauty. Bryce Canyon National Park: Utah has the most amazing stars. 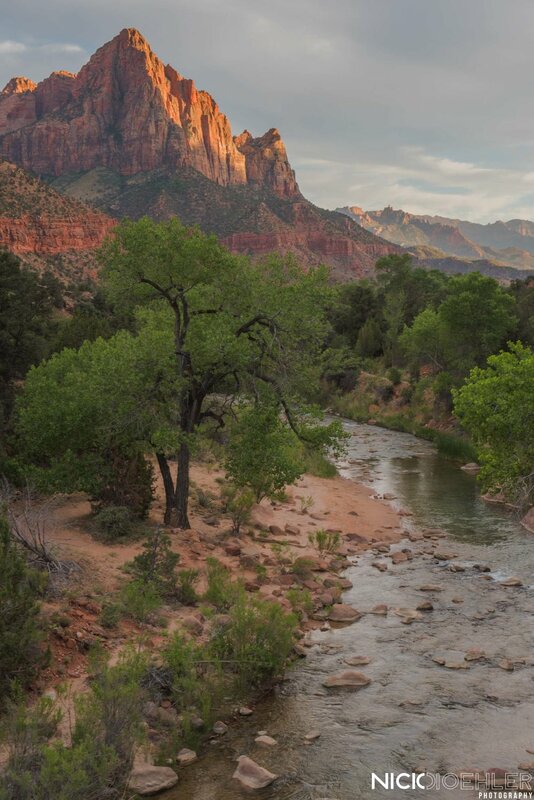 Zion National Park: A classic spot in the center of this gorgeous multi-tool of a park. So here are all of my favorites from this awesome cross country road trip! The Cherry Blossom festival is something I've always wanted to photograph since I was told it existed. 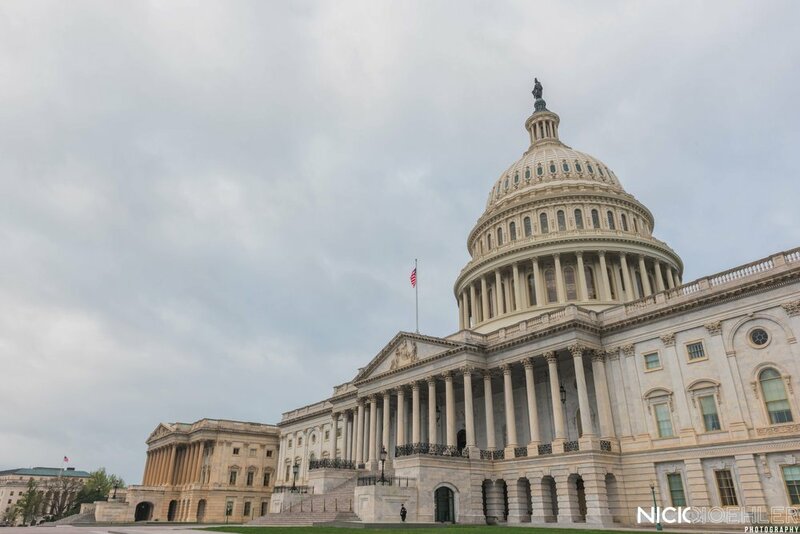 This year was the year I was finally able to make it down to D.C. to capture the beautiful cherry blossoms all around the city. Arriving to D.C. I was able to explore around and see the blossoms the first time during a sunset near the Washington Monument. 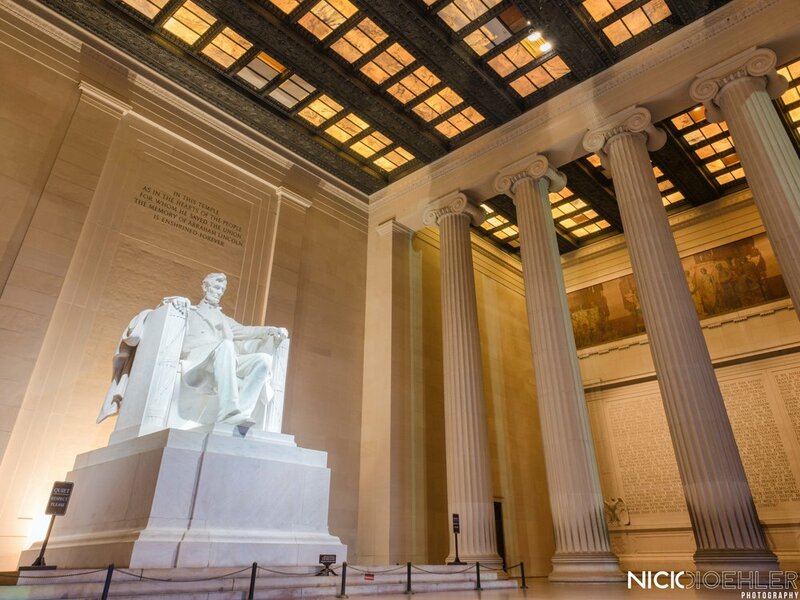 I then stayed out till 11pm that night to try and capture some images of the buildings and monuments around D.C. Staying out late put me in a position to not wake up for sunrise, but I did anyway to try for one last push for the image I wanted so bad of the blossoms. Before leaving the city I went around and I photographed some of the images during the day! With all that being said, I hope you enjoy the images! 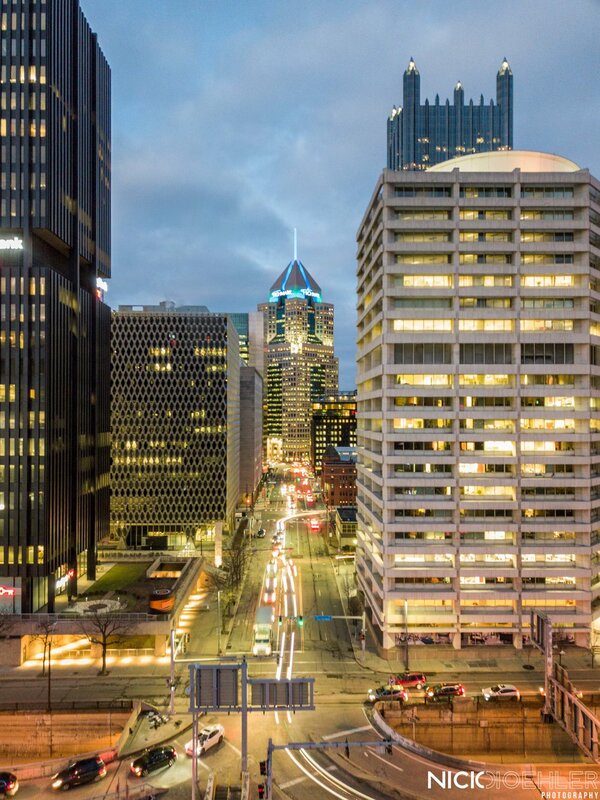 Going back to Philadelphia was an adventure to see some old friends but also photograph the city with a new eye and my drone. Attending school there and then transferring was not something I expected but something that was needed for my photography career. Being back in this city brought new light to me starting to like Philly more, but not as comforting as my network back in Pittsburgh. Below are some of the images I captured while here! Hope you enjoy! 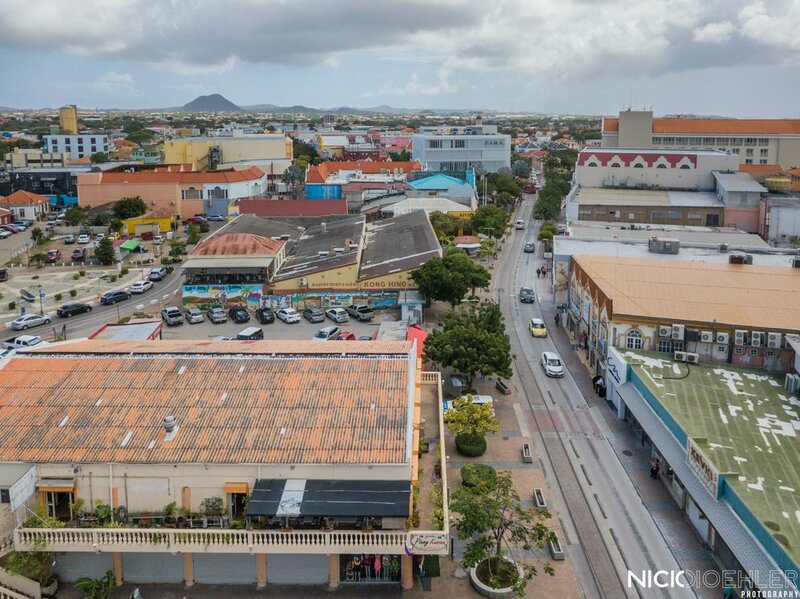 Welcome to Aruba, I small little Island about 19mi long and 8mi wide with winds that average 18mph everyday. I was here February 10-18 of 2018 exploring and experiencing the Aruban culture and climate. One thing that stuck out most to me was the windy days combined with the heat created a great temperature to enjoy during the day. 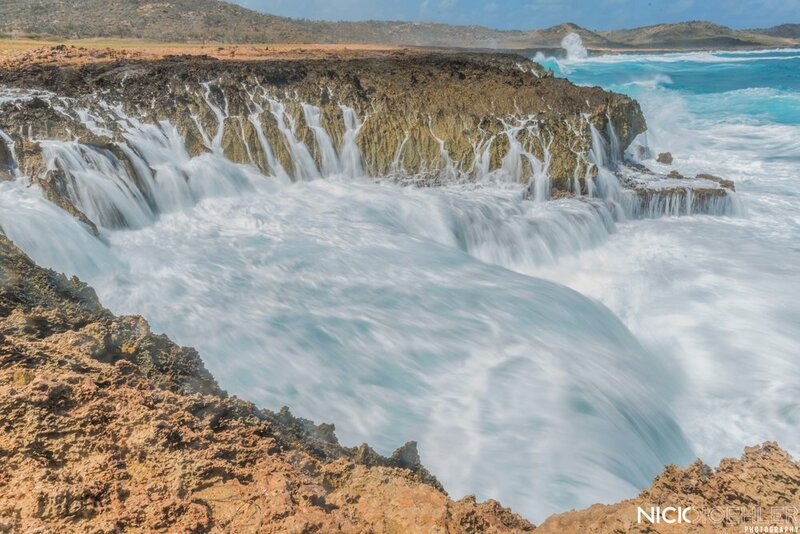 Aruba being a touristy destination has a lot to offer. You can quad around the Island, jet ski, sunset cruises, parasailing, snorkeling, you name it they probably have it. From the most northern part of the island to the most southern part of the island it is lined with hotel after hotel on the left side, and on the right it's lined with beautiful rocky scenery and a National Park. This small little island only being 6mi from Venezuela is apart of South America. Being this close to South America made me want to have an impromptu trip to Peru, but that would've been a little hard to do considering the time of year. The activities I was able to experience were the Quads, a couch type tubing in the sea, a sunset cruise, and then I watched wild Pelican's hunt for food off the beaches by the resort. This trip was filled with drama, I almost lost my drone to 25mph winds and the sea, I was thankfully able to bring it back; the wind also played a game of knocking over my camera and tripod every once and awhile. The landscape and the people were great and fun. Here are images I took from this trip! 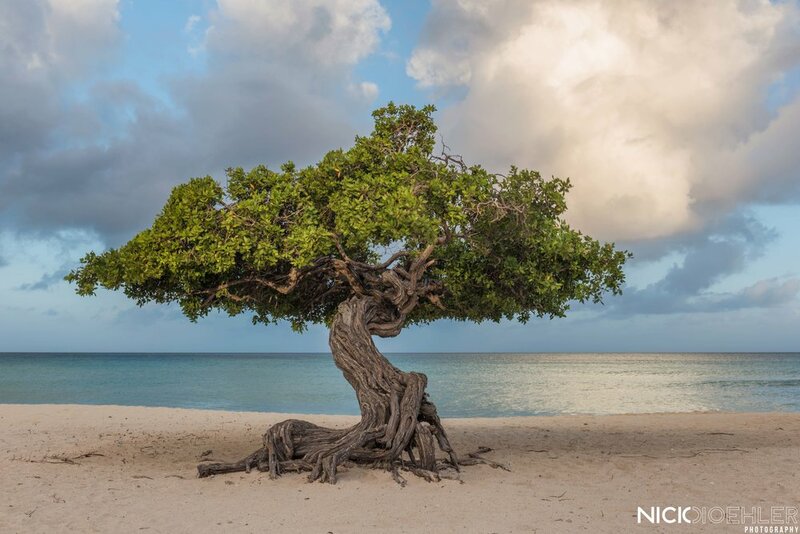 The famous Divi Tree. This was a must have shot, I went during sunrise. Did not regret it, except this is when the wind knocked my camera and tripod over 3 times! 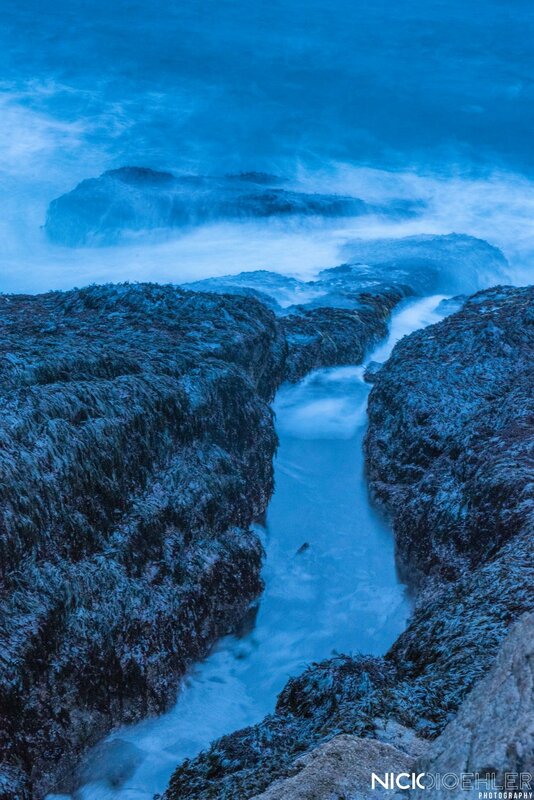 The rocky coast drew my eye when I saw the waves crashing and leaking through the cracks. This image from my drone is a product of 25MPH winds carrying my drone to the sea and me fighting to bring it back. The beautiful California Lighthouse during Sunset. With some Cacti in the foreground. 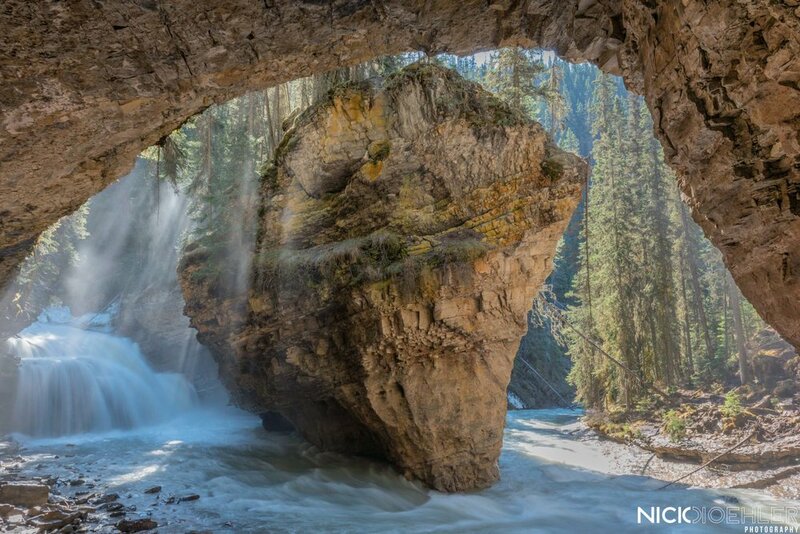 What is left of the Natural Bridge. Was fortunate enough to come go here for sunrise. 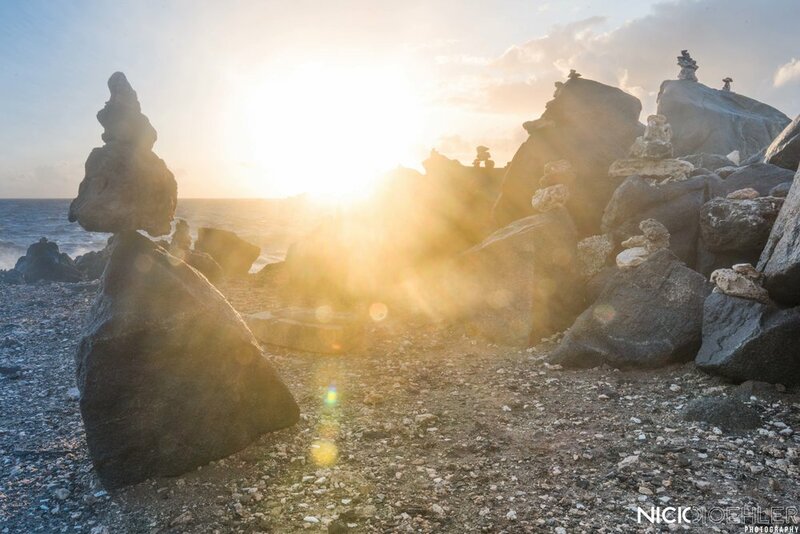 Beautiful sunrise shooting through stacked rocks. Waves were shooting into this wall and jumping out taller than me standing on top of this. About a 10ft drop into the first level of this wave pool. 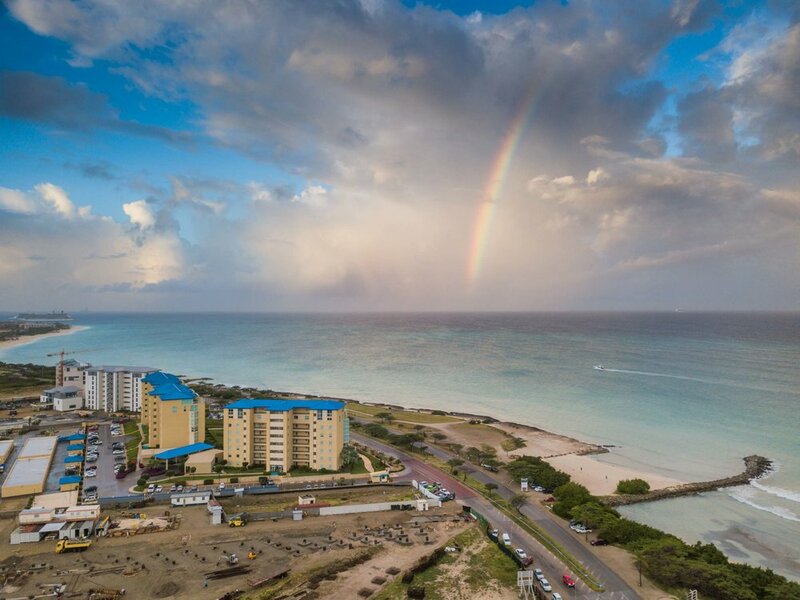 Thank you for reading this post about my trip to Aruba. If you would like to see more blog posts like this please check this trip out I'll be going on in May. Please do not feel pressured to donate, but it would be a great help and you get a free print! 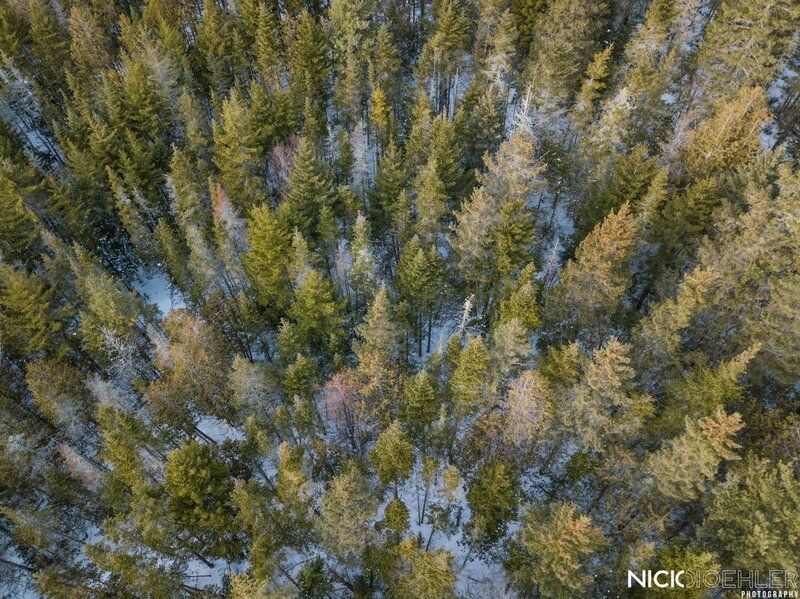 Recently I got the DJI Mavic Pro drone. This thing is a beast for what it's been through so far. I flew it in the snow storm, sunny days, snowy days, and in decently fast winds. I try to not really test my equipment, but it's become a habit recently; you'd be surprised as to what this gear can do. I've been able to fly it in Maine, Pennsylvania, and Aruba so far. I will definitely bring it with me wherever I go to continuously look in different perspectives. This drone will be a great tool to have on this upcoming summer road-trip! Here are some photos I've been able to photograph already. Coming up this year in May - June of 2018 a few friends and I will be making way across the country to experience all the beautiful sights and wildlife. Along side this experience, I will be photographing and sharing the experience through social media. We are accepting donations to help us with this trip, but if you donate enough you can receive a Free Print of your Choice from the trip!! The remainder of the donations we receive will be donated to SeaLegacy to help improve the healthiness of our oceans. Here is the link to the fundraising page! All donations are appreciated and a lot of help! Here is the map and the names of every place we'll be visiting. If you have any questions please contact me at anytime! We will be starting in Pittsburgh, PA > Chicago, IL > Maquoketa, IA > Fort Niobrara National Wildlife Refugee, NE > Badlands National Park, SD > Custer State Park, SD > Black Hills National Forest, SD > Thunder Basin National Grassland, WY > Yellowstone National Park, WY > Grand Teton National Park, WY > Glacier National Park, MT > Banff National Park, Canada > Yoho National Park, Canada > North Cascades National Park, WA > Seattle, WA > Olympic National Park, WA > Mount Rainier National Park, WA > Portland, OR > Siuslaw National Forest, OR > Brookings, Oregon > Travertine Hot Springs, CA > Yosemite National Park, CA > San Francisco, CA > National Bridges State Beach, CA > Big Sur, CA > El Matador Beach Road, CA > Death Valley National Park, CA > Joshua Tree National Park, CA > Las Vegas, NV > Grand Canyon National Park, AZ > Zion National Park, UT > Bryce Canyon, UT > Antelope Canyon, AZ > Monument Valley, UT > Canyonlands National Park, UT > White River National Forest, CO > Garden of the Gods, CO > Rocky Mountains, CO.
We are hoping this trip can change our life, conserve these beautiful parks, and help make the oceans cleaner. 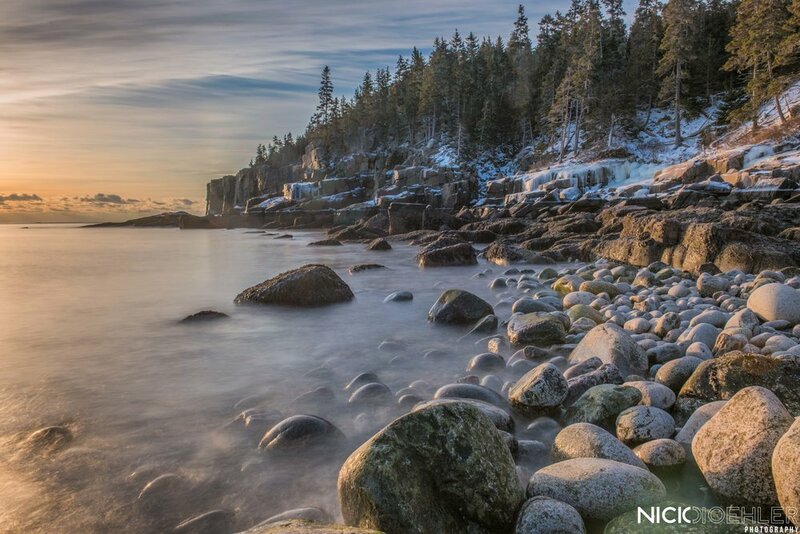 Acadia National Park is located on Mount Desert Island, Maine. This park is normally frequented in the spring/summer, but winter was more appealing to me. To start the trip we arrived at 5a.m. 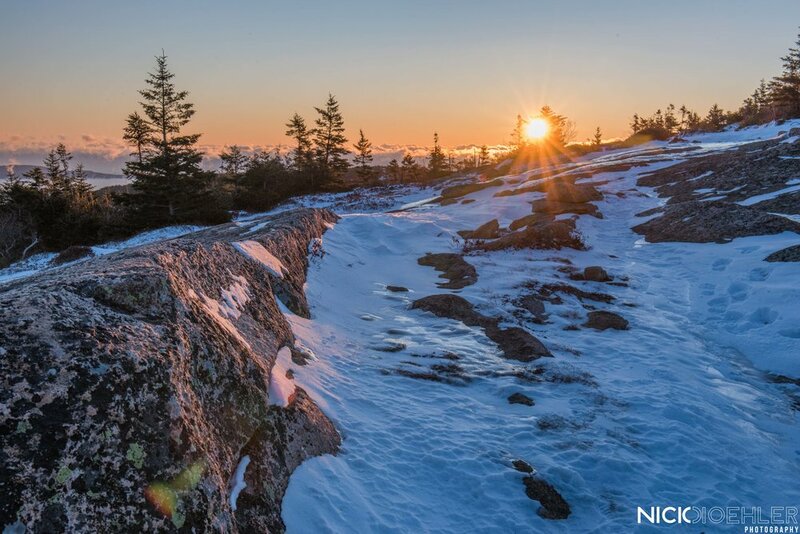 to then hike up Cadillac Mountain for sunrise. 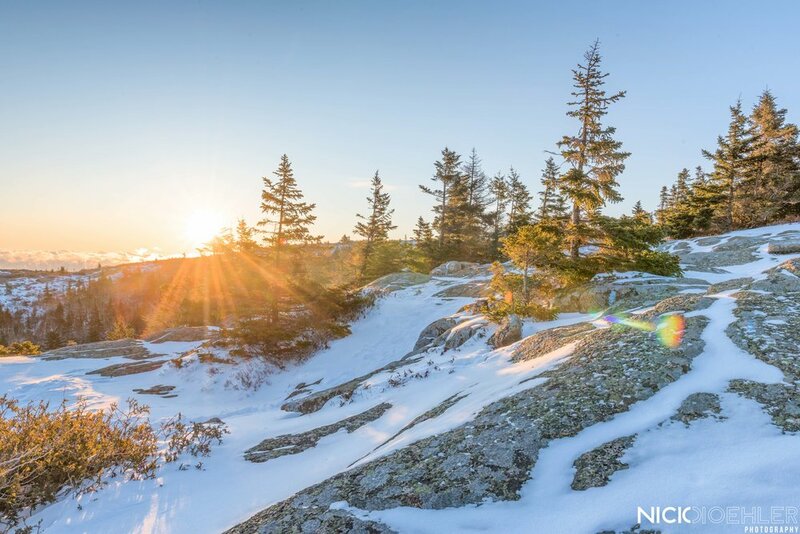 Sunrise was so beautiful from the top of Cadillac Mountain, but the wind chill had the temperature down to -27 Fahrenheit. It was a bit chilly, but we made it up the 2.2mi hike to the peak. 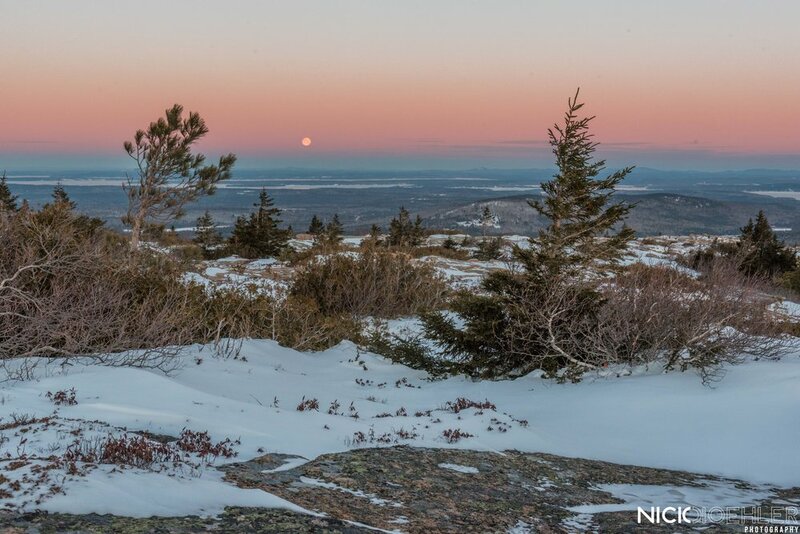 Here are a few shots from Cadillac Mountain. After Cadillac Mountain we went to breakfast and then made our way to the AirBnB. 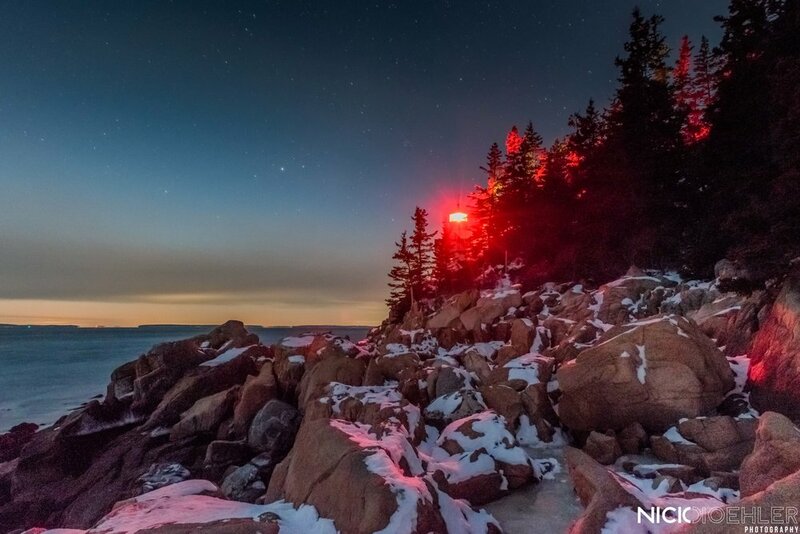 It was about 10-15min from Bar Harbor. 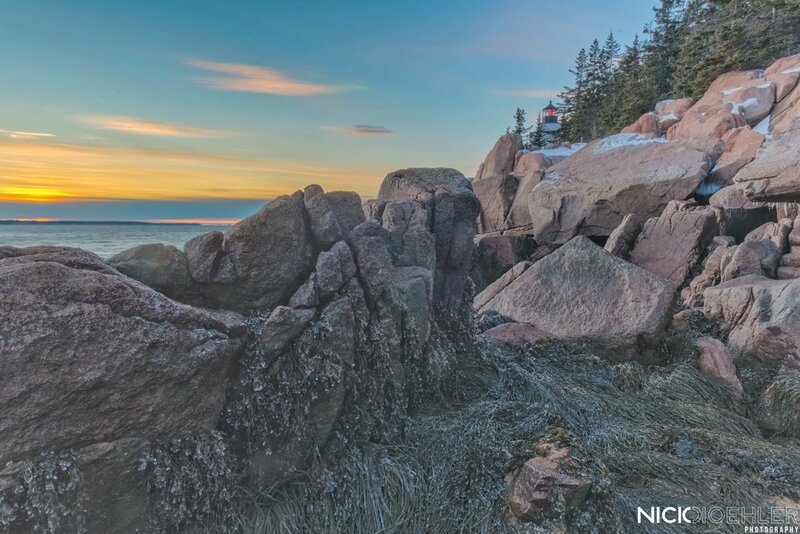 For sunset we made way to the Bass Harbor Head Lighthouse on the coastline of Mount Desert Island. After I was able to capture a few images in the cold with stars it was time to go and relax. The next day it was decided to go to Boulder Beach, Otter Cliff, and Thunder Hole! 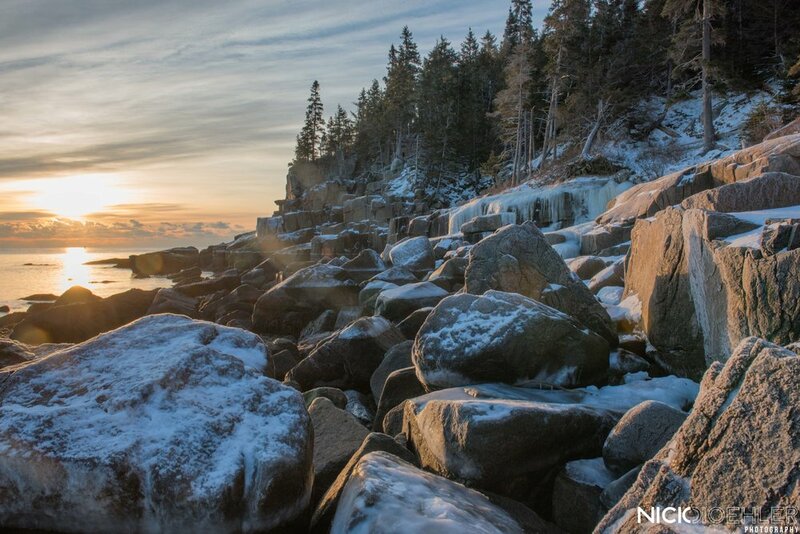 Then it was onto Schoodic Point for sunset. We didn't stay there long because it was freezing and the wind was overpowering. 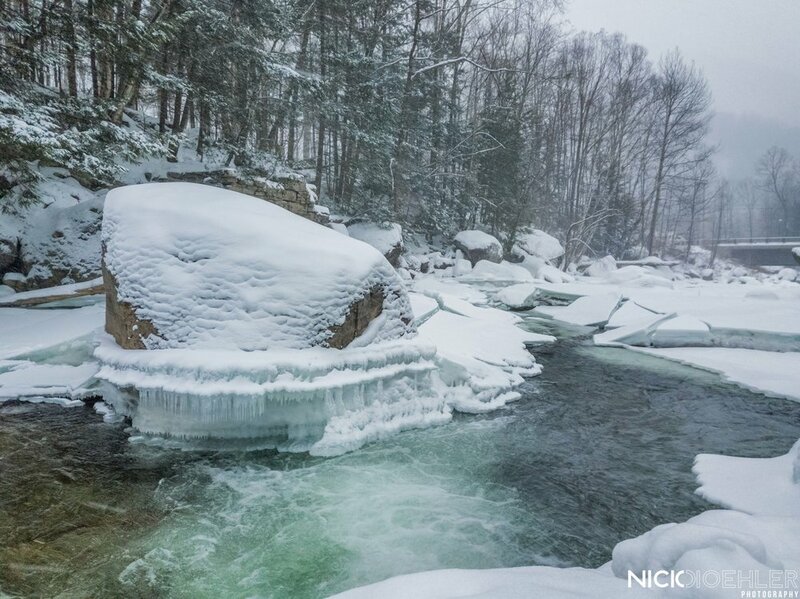 Here is the one shot I was able to get upon some of the icy rocks. 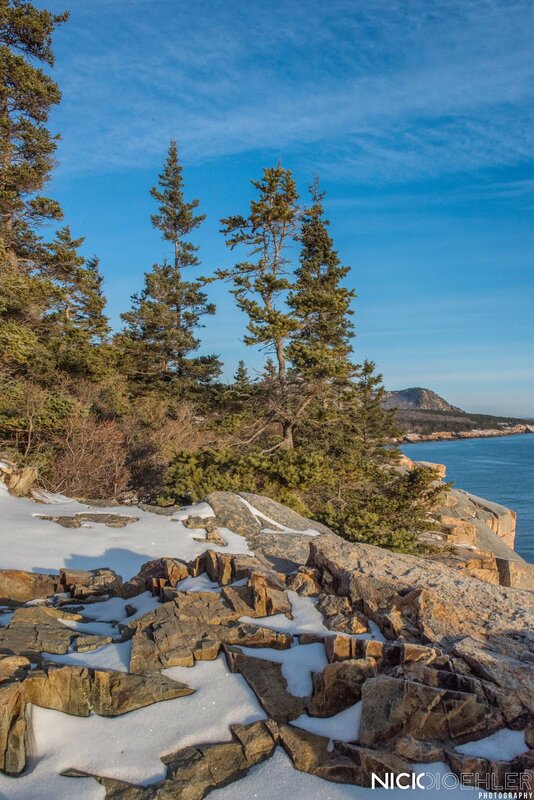 Acadia National Park was such a beautiful park and can't wait to experience it in the different seasons.